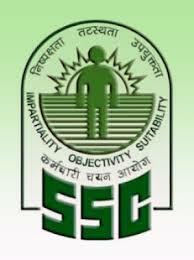 SSC COMBINED GRADUATE LEVEL EXAM was conducted on 21 April 2013. The exam was conducted in morning and afternoon sessions. The exam was comparatively easier. The main problem was the time limit. 200 questions in 120 minutes is a tough task ie, less than 1 minute for a question. The questions from all portions were comparatively easier than similar exams. A candidate with basic knowledge could attend it easily. One who did practice for even 2 weeks could excel well in the exam. The General Awareness and English Comprehension need less time to answer a question. May be an average student can do 3 to 4 questions per minute. A pretty intelligent one can do more. A candidate with good planning can use this time to do problems in the other 2 parts (PART A & PART C). Thus an excuse that there was time problem cannot be considered. If you had such an issue, the main reason is that lack of practice. If you had practiced 3 or more question papers(model/previous) looking at the time, you could have easily adjusted the time. Don't worry. This exam is a really good experience for your future exams. And if lucky enough you could even get through.